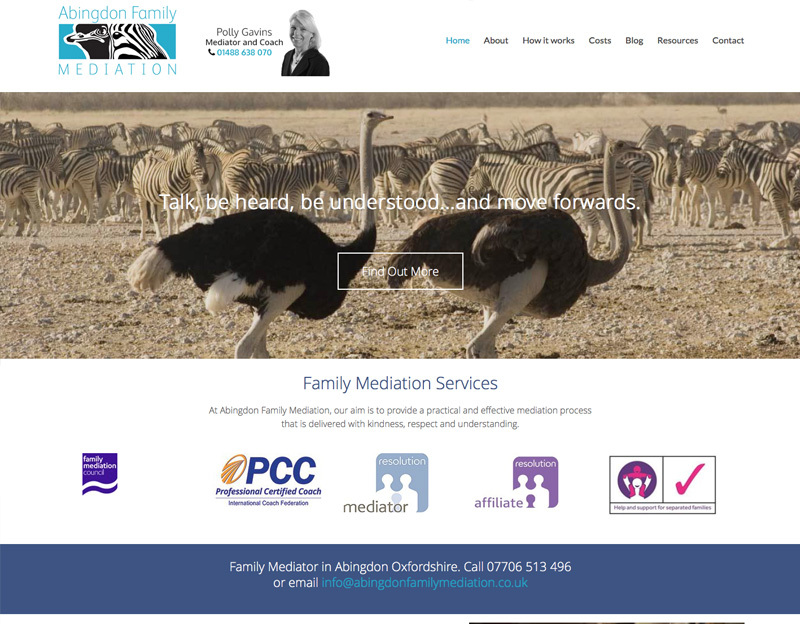 Abingdon Family Mediation was a new website for Polly Gavins who had started up on her own. She already had the branding and logo created so the website followed on from that. The site is mobile friendly and set up in WordPress so she is now able to edit content and add new blogs. Whilst building the website I populated the search engine meta data which I do as part of my work. This helps the site get listed on to Google.